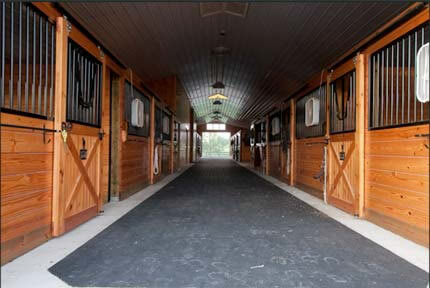 Hidden Hills Horse Farm is the area's premier location for boarding your horse. 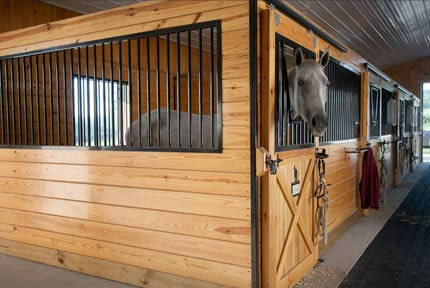 You and your horse will have access to our indoor and outdoor rings, trails, heated wash stalls, and other boarding facilities. 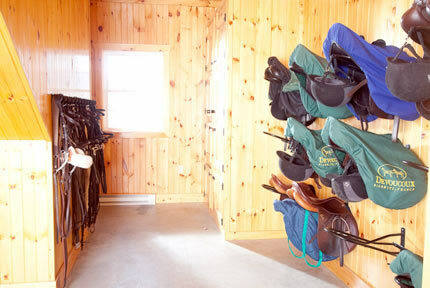 We provide daily turnout for your horse, weather permitting. 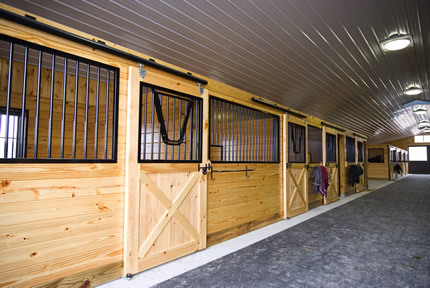 Indoor stalls-attached to indoor amenities. 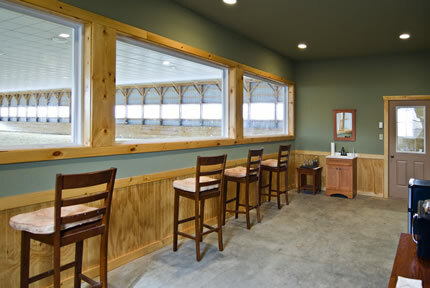 Corner indoor stalls-attached to indoor amenities. Boarding with private and semi-private turnout. 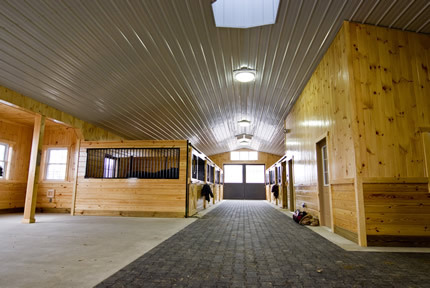 12X12 stalls with automatic water-feeders and the option of automatic fly-spray system and fans. Daily stall cleaning with new bedding. 24/7 monitoring with our state-of-the-art video surveillance system. Group turnout 7 days per week, and individual or semi-private turnout available. Wash stalls with hot/cold water and warming lights. Use of our riding facilities which include our indoor arena with euro-felt footing, outdoor sand arena, and bluestone arena-respectful of lessons. Trails available throughout the 103-acre property. 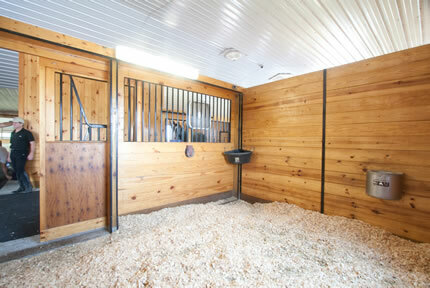 Temperature-controlled tack room, two observations rooms, and changing rooms with shower. Supervision of vet and farrier appointments available. For your convenience, Hidden Hills can provide supplemental services. Please discuss your needs with management for a detailed service listing and associated fees.